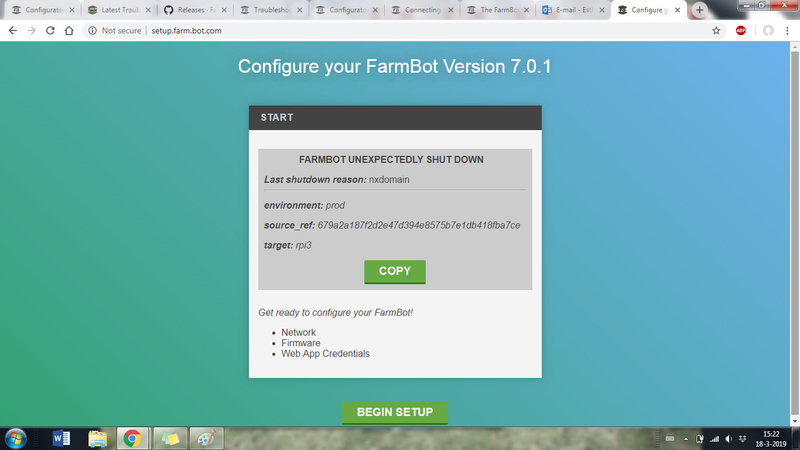 At a university we try to connect farmbot 1.4 XL to the web app for the first time, but it gives this error and after filling in everything for the configuration it doesn’t connect to our wifi. Do you know what we can try to solve this problem? It sounds like you may need to work with the campus IT folks (firewall in particular). This document should explain A LOT! I asked the IT desk, and they say the network enables every device to log in on the wifi network. There shouldn’t be a problem with firewall or security. According to that, I suppose it’s not the university network. Do you know how to check what the problem is?